This is nothing new, basically the contract was already signed and Guaita was staying in Valenica, but this is just the official announcement. Vicente Guaita contract has been extended to the year 2015, which means he is going to be in Valencia for 4 more years. He will have some additional competition next season in Diego Alves who came from Almeria, although his contract is still not officially presented. Anyways this summer Moya is set to leave, Renan as well and there is still the discussion of whether Cezar should stay in the club or not. At the official presentation of Guaita's renewal was Valencia president Manuel Llorente and Mayor María José Catalá. Llorente heaped praise upon Guaita as expected and encouraged him to continue working hard. 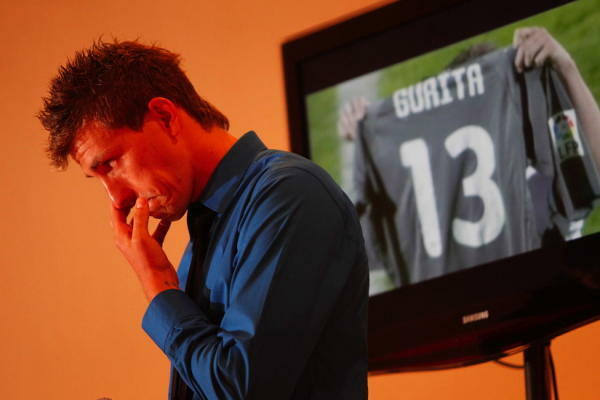 It was an emotional day for Vicente Guaita as he cried several times during the ceremony, but I guess its understandable, as he is signing for the one of the best teams in the world, certainly the best team in Spain and who wouldn't get emotional for such an honor.